These days, some folks can’t seem to get enough of Flamin’ Hot Cheetos. Love ‘em or hate ‘em, they’re a California-born snack. For our series Golden State Plate, Bianca Taylor tells us more about the person who invented them. Richard Montañez worked as a janitor at a Frito-Lay factory for nearly two decades before he came up with his concoction. He had grown up picking grapes, living on a farm for migrant workers near Rancho Cucamonga with his 10 siblings. Poet and publisher Lawrence Ferlinghetti helped change the face of literary culture when he founded City Lights Bookstore and publishing house in San Francisco in the early 1950s. From getting arrested for publishing Allen Ginsberg's "Howl" to publishing his own memoir-ish poetic novel "Little Boy" this month, he continues to be unstoppable. He's turning 100 on March 24. But as KQED’s Chloe Veltman tells us, in many ways, Ferlinghetti's always been a mischievous little boy. Frank Zappa’s surprise hit from 1982 introduced the world to the image of the “Valley Girl,” a skinny, slang-talking, suburban white girl, obsessed with stuff like boys, shoes and toenail polish. But a new art exhibit in Glendale is like, totally giving that stereotype a makeover. It’s called “Valley Girl Redefined,” and it brings together a diverse group of more than two dozen women artists challenging what it really means to be female and from the San Fernando Valley. We sent reporter Steven Cuevas to meet some of them. Back in 1970, 10-year-old Joel Lipton’s fifth grade class in Beverly Hills got an assignment: Write a letter to someone you admire and ask them, “What makes a good citizen?” Joel decided to write to Charles Schulz, the creator of the Peanuts comic strip. Nearly 50 years later, Lipton and his wife were recently cleaning out a closet and rediscovered the letter young Joel received from Schulz. What Schulz wrote in 1970 has resonance today. 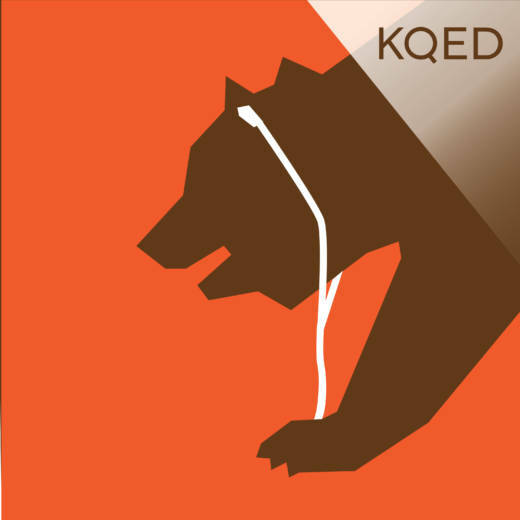 Gabe Meline, KQED’s senior Arts joins host Sasha Khokha to shed some light on this bit of timeless correspondence.